Home > Hanoi Cuisine > Wonderful Hanoi dishes for Gourmets. Liar! Do you know why many foodstalls are always crowded with customers despite its high price and unfriendly attitude of its staff? Let’s follow me to find out what secrets are. 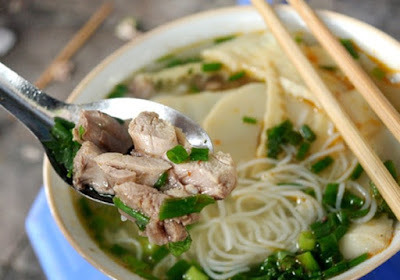 Heading a list of the most delicious dishes in Hanoi, Bat Dan is the name which can not help being mentioned. Half of a century passed is the period time Bat Dan Pho has closely attacked with Hanoians. 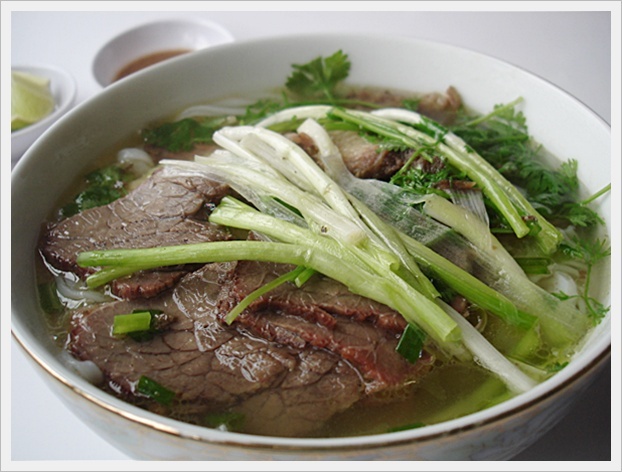 Bowls of Pho are famous for the sweet fragrant soup of pig bone, soft and pink slices of beef with white noodle and fresh raw vegetables. All of them have created a huge attraction to both Hanoians and people visiting here. The restaurant have such a large practice that customer have queue in a long line and wait for a long time for their turn. 40.000 VND is the average cost but it is worth branch out. 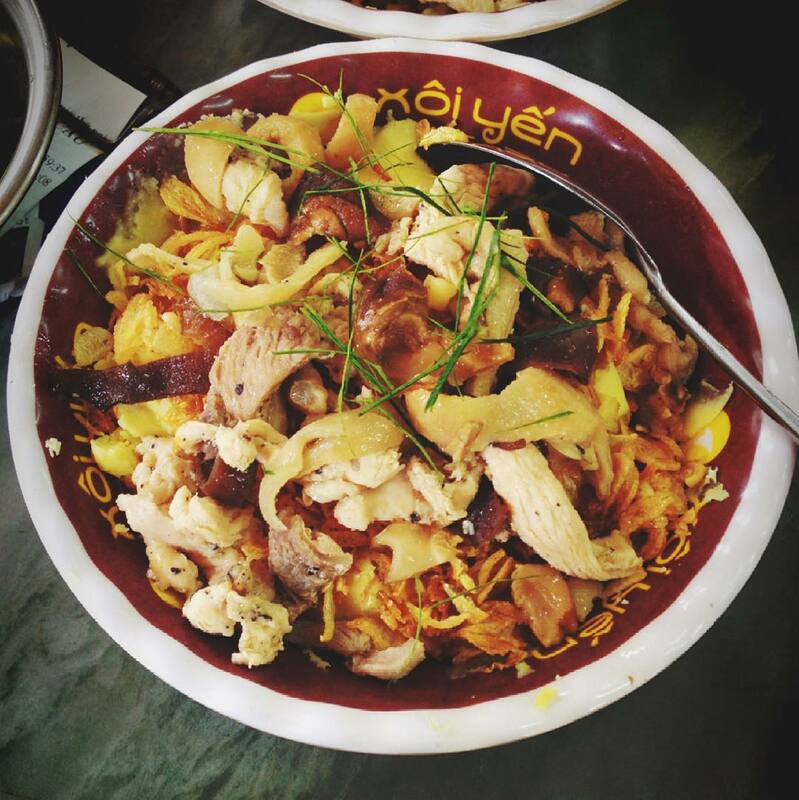 Lying at 35B Nguyen Huu Huan, Yen steamed sticky rice foodstall (xoi Yen) is the ideal destination for breakfast in particular. 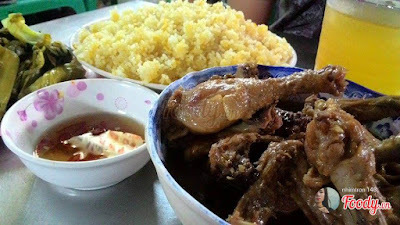 There are a lot of sticky good kinds of sticky rice dishes such as coconut, corn .etc served with stewed pork, stewed eggs, pate, sausages or maybe chicken .etc. The rush time in this stall is from 5 a.m to 2 am (the next day). The price per one is 35.000-40.000VND. For a long time, The Gioi Ngan (Loose world) has become nothing familiar with people in the capital, especially gourments. The key dish which creates the difference compared to other stalls is loose-cutting Bun. Calling “Loose-cutting Bun” is due to cutting loose piece by piece, not shredding meat. Soup for this dish is very clear and has characteristic natural smelling of loose, not using Vedan or Ajimoto. Though it is quite expensive, 50.000 VND, it is really great to enjoy. Rice and chicken with uncooked salty spinach are all main ingredients to create into an awesome dish. Each of rice grain mingled with yellow eggs is of a good taste, not too dry or not too scrippy. Stewed chicken with ginger and lemon leaf and pepper is so yummy tat everyone can’t ignore it. Salty vegetable is a factor which can reduce the greasy taste of oil and chicken and balance for the dish. 80.000 VND is really expensive, but if you have never tried, why don’t you take advantage of this opportunity? Craving! Vietnamtypicaltour have to grab a bit in every foodstall above. Would you like to join with us? Ok, so let's go!